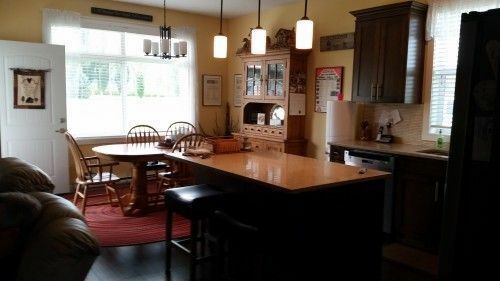 Private sale - 3 yr old Condo - Lone Wolf Estates, located in Taylor, BC next to the Lone Wolf golf course. Walking path just across the road. Within walking distance to all amenities. Serious inquiries only. NO REALTORS! 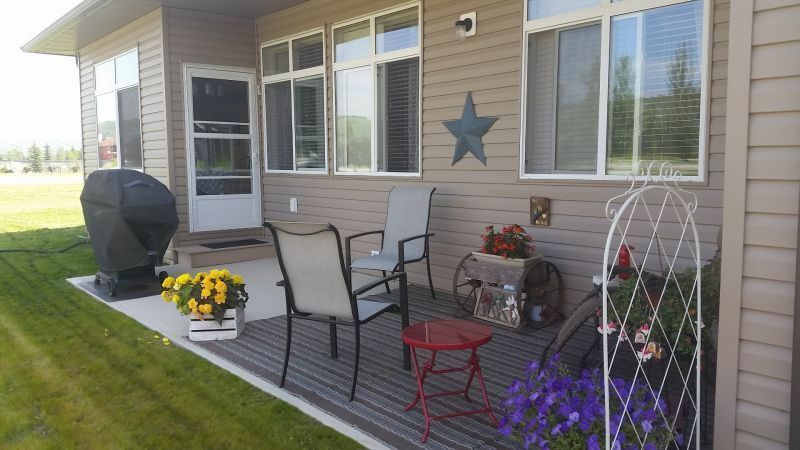 Please contact thru Private message.This location has a beautiful view of the club house from the kitchen, along with a beautiful view of the Peace River hills from the patio, dining and front room windows. In a very quiet location. A owner, smoke and pet free. Meticulously maintained by owners. Corner/ end unit - 1200 sq ft (one level) with attached single car garage. No stairs to worry about. 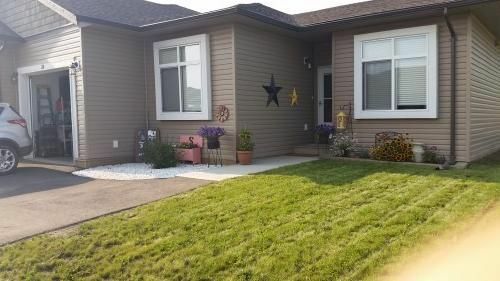 Crawl space - 1200 sq ft. LOW taxes and low strata fees Details/description :Open concept as soon as you walk in. front entry closet bedrooms baths Large windows thru out with blinds (curtains negotiable ) Large kitchen island Large built in pantry off kitchen Spacious dining area Laminate flooring thru out, carpet in master and 2nd bedroom. 3rd bedroom has laminate flooring Lino in bathrooms Laundry room has laminate flooring and leads into single car attached garage Parking for 2 vehicles outside plus garage. RV and overflow parking area available Spacious master bedroom complete with large master bath and full size tub/ shower combo, large vanity and mirror. Walk in closet. Main bathroom , shower only. 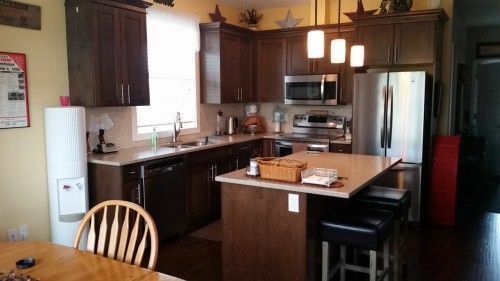 This condo is one off a kind, it's the only one to have any of the following upgrades. Beautiful Quartz counter tops thru out kitchen and bathrooms. Kitchen, beautiful travertine tiled back splash, kitchen sink and tap. Beautiful teak wood ceiling fan in living room. (Negotiable ) Upgraded stainless steel appliances: Dishwasher, convection smooth top oven, Dbl door fridge and built in microwave. 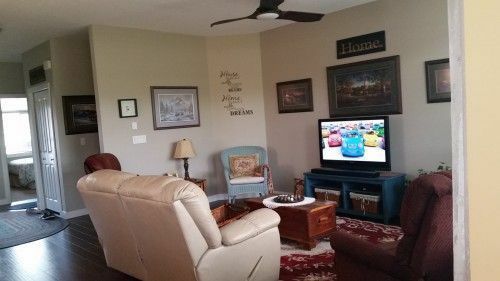 Front load washing machine and dryer Extra large covered patio area 10 — Exterior screen doors. Flower beds on south facing entry. New paint in kitchen and dining area, living room and master bedroom.